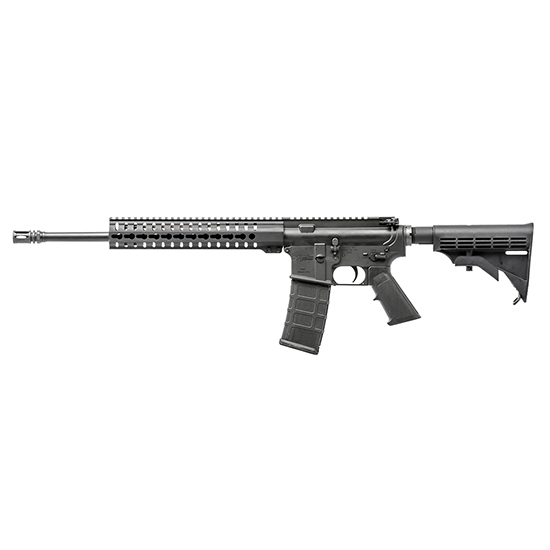 CMMG 55AC72C Rifle Mk4 T SBN Semi-Automatic 223 Remington|5.56 NATO 16.1 MB M4 Black Stk Black in. When modularity affordability and quality are all important the Mk4 T is the rifle of choice. The Mk4 T introduces CMMGs RKM series of KeyMod freefloat hand guards. It has a 16.1 nitrided 4140 CrMo steel barrel with a medium taper profile and A2 compensator forged 7075T6 AL M4 type upper with AR15type lower A2 pistol grip and M4 buttstock with 6pos milspec receiver extension."